In his application, Avdhesh Kumar Chaturvedi also wanted to know why the prime minister had paid tributes to Netaji Subhas Chandra Bose Bose on his birth anniversary in 2015 and 2016. Netaji Subhas Chandra Bose had founded Indian National Army, commonly known as Azad Hind Fauz, in 1942. The Central Information Commission has directed the National Archives of India to give a "categorical" response to an RTI applicant who asked the Prime Minister's Office whether freedom fighter Netaji Subhas Chandra Bose was dead or alive. In his application, Avdhesh Kumar Chaturvedi also wanted to know why the prime minister had paid tributes to Netaji Subhas Chandra Bose on his birth anniversary in 2015 and 2016. Not getting a satisfactory response, Mr Chaturvedi approached the CIC, the highest appellate authority in RTI matters. He submitted that he had not received any authentic information regarding the death of Bose. The Prime Minister's Office said the subject matter of this RTI application pertained to the Culture Ministry, so they had transferred it to the ministry. 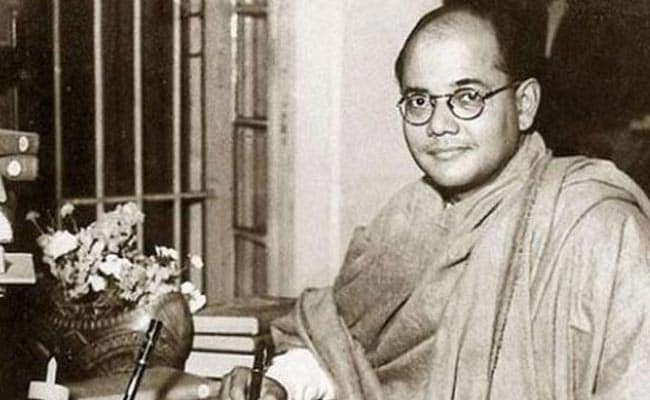 "Further, he (the PMO Central Public Information Officer) informed that all the files relating to Netaji Subhas Chandra Bose were declassified and sent to the National Archives of India for permanent retention," Chief Information Commissioner RK Mathur said. Mr Mathur said the CPIO of the National Archives of India should give a "categorical" reply to the appellant as per this RTI application, within 15 days from the date of this order. Netaji Subhas Chandra Bose had founded Indian National Army, commonly known as Azad Hind Fauz, in 1942 to fight British with the support of Japanese forces. January 23 is celebrated as his birth anniversary.